FLC welcomes your submission of research articles, note articles, review articles, book reviews, etc. from all fields of law, especially those involved with the research of Chinese law,cases, and legal issues to be resolved. 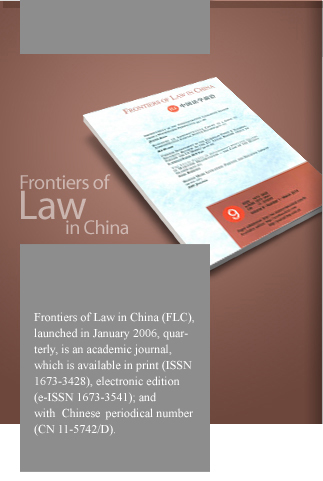 By publishing state-of-the art kinds of articles, FLC is to become one of the most distinguished journals in the field of law over the world. peer-review process. The comprehensive online platform will help further promote academic exchange by streamlining the editorial and publication process. Authors enjoy ease of submission and ability to track manuscript review status while editors can manage review tasks in a dynamic, fully-integrated interface that enables the most informed decision-making.